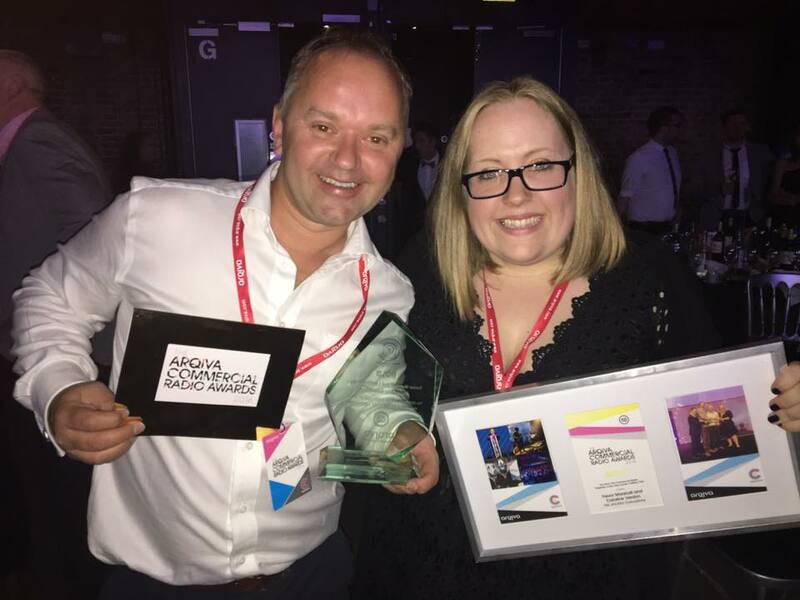 Breakfast show presenters Trev and Caroline from JACK's Morning Glory have been named UK Radio Presenters of the Year at the Arqiva Commercial Radio Awards. They picked up the prize at the Arqiva Commercial Radio awards, which recognise the finest in the UK radio industry. They were held in London's 'The Roundhouse' and featured performances from Fleur East, BB Diamond and JACK Savoretti. It's the second year in a row that the duo have walked away with the accolade and it means JACKfm continues to be the most awarded local radio station in the UK, as they also picked up the Station Imaging Award for their jingles, while university graduate Giles Gear was handed the bronze award for being an Unsung Hero. The awards results come as the latest RAJAR listening figures show that 113,000* people listen to JACKfm and JACK2 across Oxfordshire – which is an increase of over 20,000 on the previous year. On receiving the award for the second year running, Caroline Verdon said: "It's such an honour to be nominated and be up against all these huge stations but to win is absolutely incredible! We simply love what we do and have fun every morning and it's great that's coming across." Trevor Marshall added: "To see the number of people listening increase over the last few years is absolutely brilliant and to also receive such praise from our peers is fantastic. Getting up at 3.30 in the morning isn't easy but it's a real pleasure to wake up Oxfordshire."